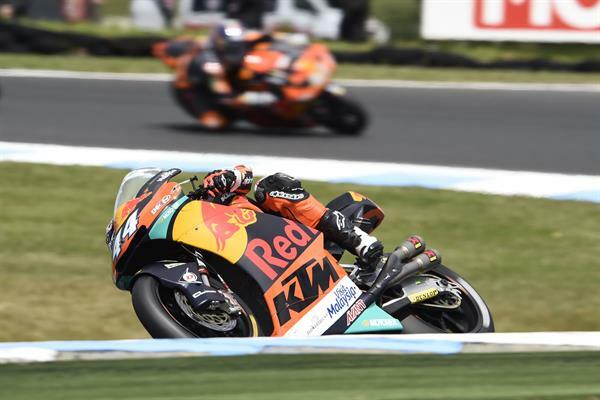 After ninths, tenths and elevenths so far in 2017, the Red Bull KTM MotoGP Factory Racing team today hit another target with ninth and tenth in the same race with Pol Espargaro and Bradley Smith finishing just 16 seconds off the outright winner of the Australian MotoGP. 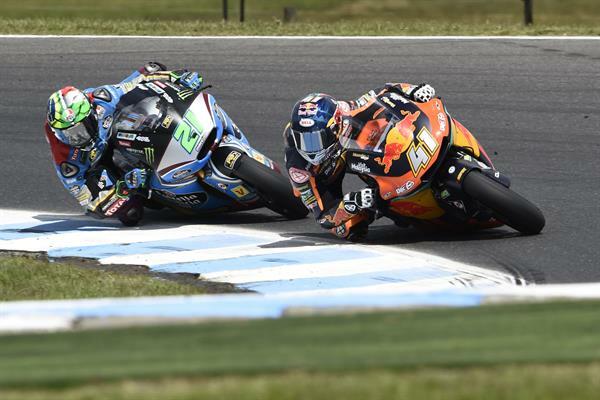 Having qualified sixth and ninth respectively the pair made an electrifying start with Espargaro fourth at the first corner. 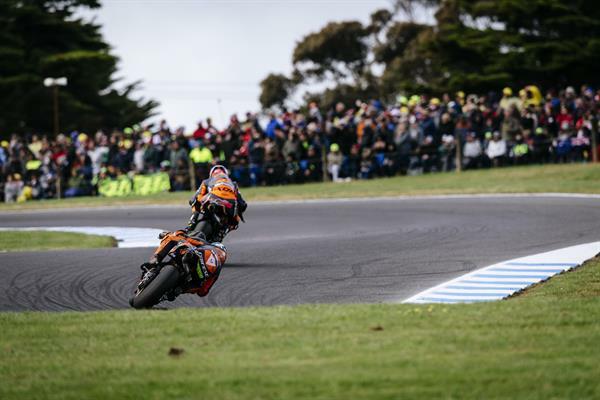 The pace was typical ‘Phillip Island’ with a train of riders millimetres apart at 310kph, but both KTM RC16s could be in the leading group for the first half of the race. 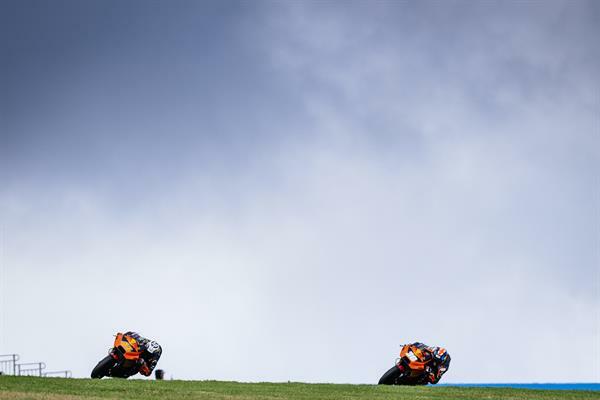 Come the last lap the two riders fought tooth and nail to the line but it was Espargaro who pipped Smith by 0.011 seconds to get two Austrian KTMs inside the top ten for the first time. 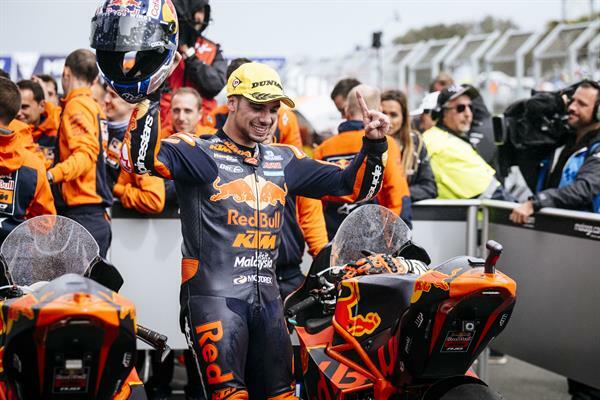 More KTM racing history was made today as Miguel Oliveira took a lights to flag victory on his Red Bull Ajo KTM Moto2 and in so clinching the first win for a KTM in the Moto2 class. 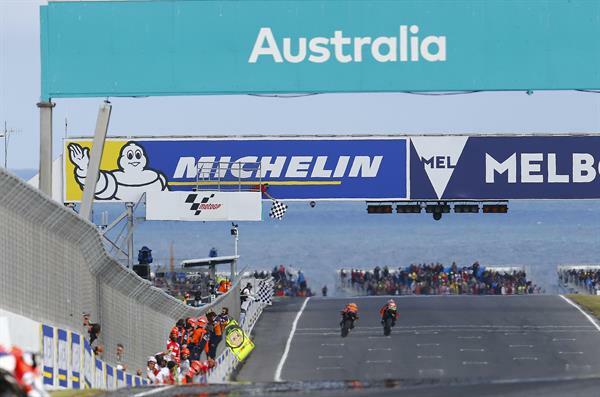 The feat is all the more impressive as the motorcycle had never turned a wheel at the Phillip Island race track until Friday morning but it started from the front row and was a winner by Sunday afternoon. 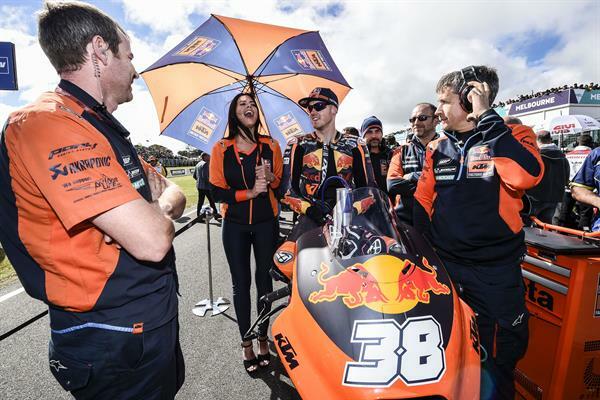 However, Oliveira was pushed all the way by reigning Moto3 World Champion, Brad Binder, who finished a career-best second in Moto2 as he tasted the podium champagne for the first time in the class. 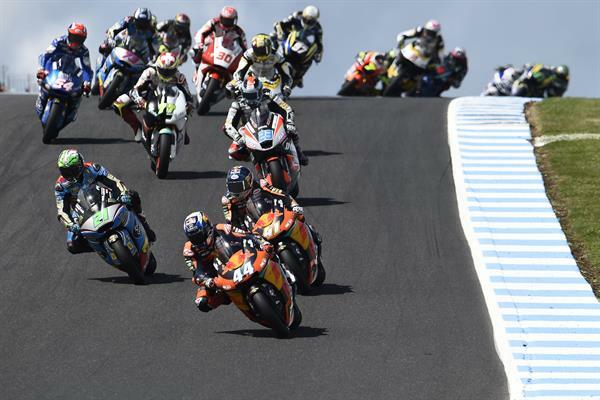 The victory means KTM have now won in four classes of Grand Prix racing following their 125cc, 250cc and Moto3 success. 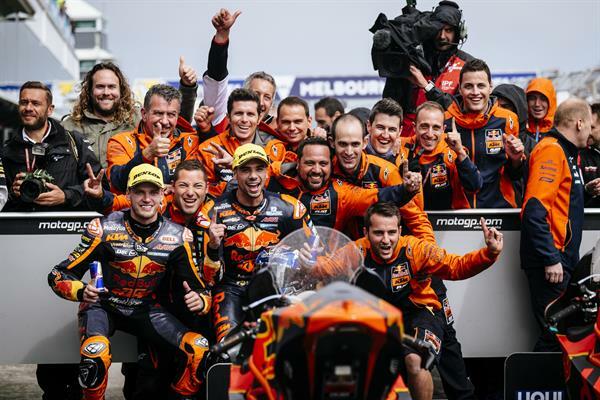 Oliveira: "I'm very happy; I just feel happiness. I could not be more grateful for this victory because when it started to rain I struggled a little. 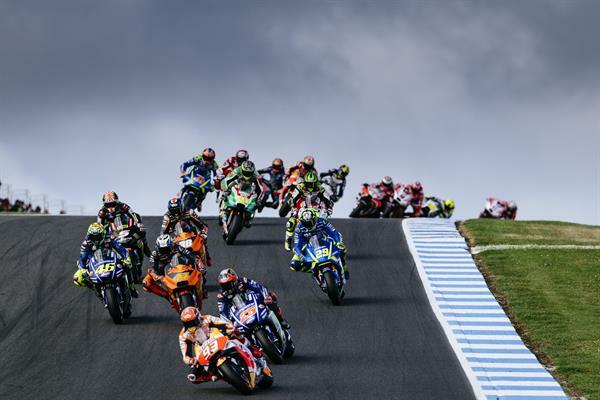 I already had a certain advantage and was aware that the distance I had from the pursuing riders had been reduced, which created a little stress. As you can imagine, it has been the longest race of my life. 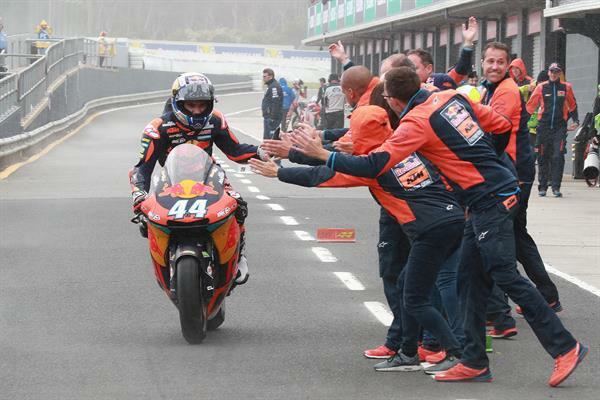 I’m very happy with the team and with my first victory in the class, the first for KTM and hopefully not the last." 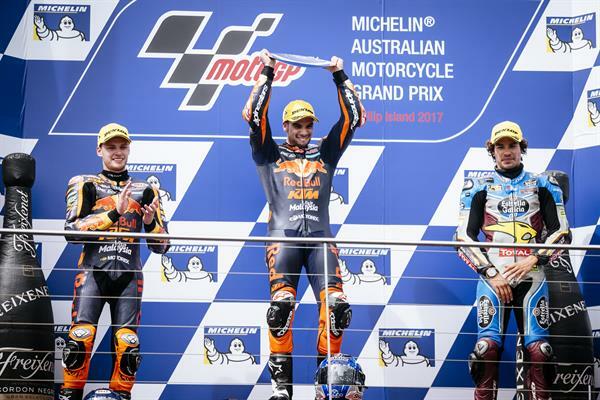 Binder: "It's really been great to get on the podium. 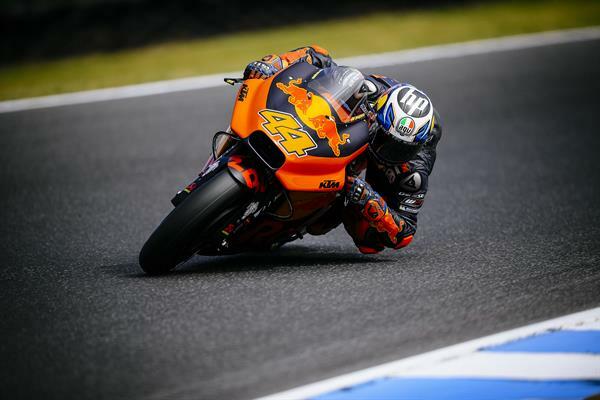 Throughout the weekend, from the first lap I went out on track, I felt very good, and I just tried to put in as many laps as possible on the bike. Early in the race I tried to do my best and I was up there with Miguel (Oliveira), but he had a very good pace and didn’t make any mistakes. 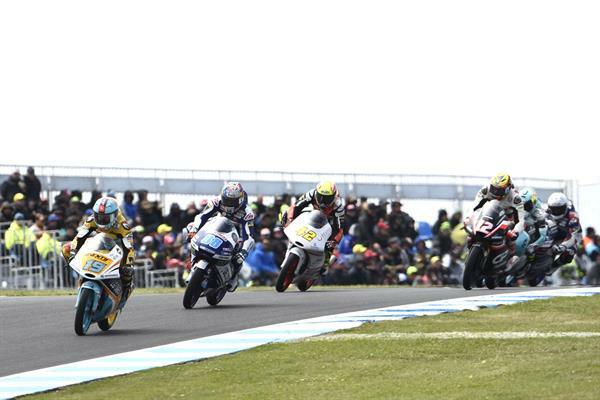 Then I started fighting with Franco (Morbidelli) and with Nakagami, and the race became really tight. 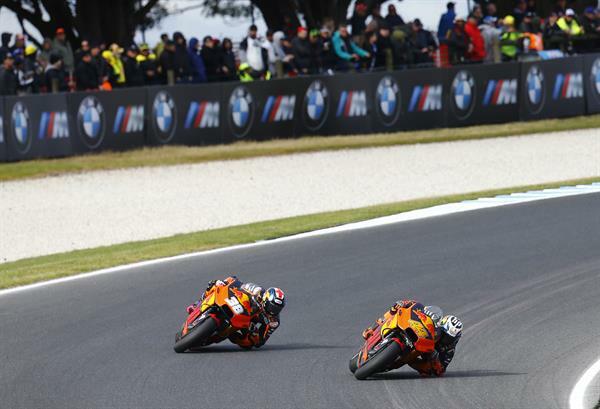 On the last few laps I started to feel stronger and in the end I was able to fight. Getting second position makes me very happy. I want to thank the team for all the work they have been doing this season." 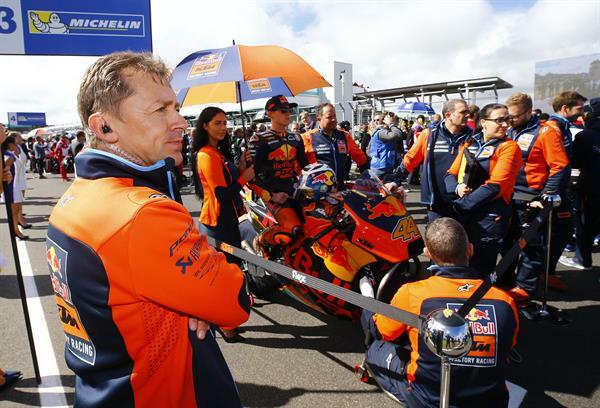 Aki Ajo (Team Manager Moto2): "After the excellent race today, the first thing I want to do is to thank the riders, KTM, Red Bull, all our partners and the team, because we are very happy to be part of a great project like this year after year. 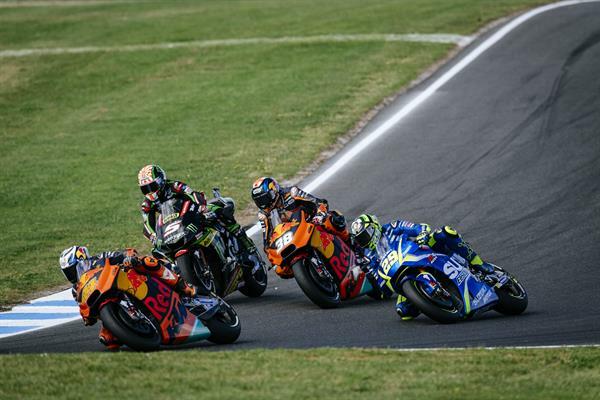 It was an unforgettable race, with Miguel (Oliveira) dominant at all times and setting a steady pace that allowed him to escape, and with Brad (Binder) showing his great evolution and getting a very hard fought and deserved podium. These results are the reward for the great work done throughout the season by all parties involved." 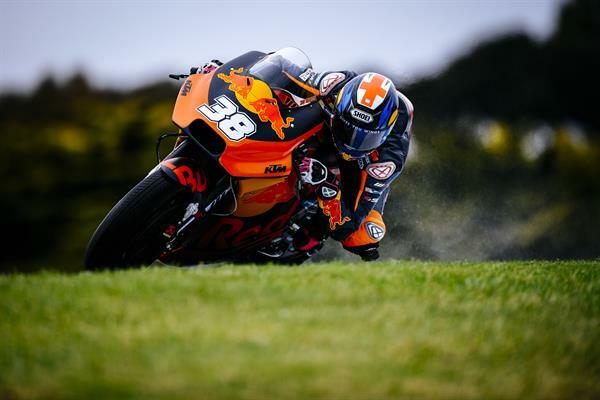 The Moto3 race was curtailed by rain after just 15 laps but Gabriel Rodrigo on his KTM RC250 GP took fourth just as he was eyeing up a move towards the podium in the closing laps. 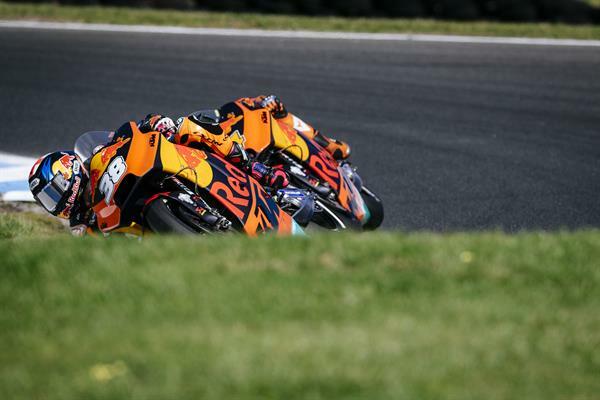 Red Bull Ajo’s Niccolo Antonelli was desperately unlucky as he tumbled with another rider in the cold conditions after a brilliant start while team mate Bo Bendsneyder, who was fastest in the wet warm up in the morning, had a mechanical problem that cruelly prevented him from repeating his speed, he finished 16th. 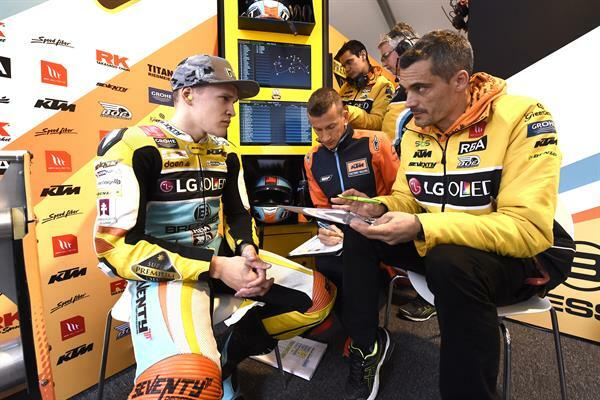 Rodrigo: "It is clear that the result in Moto3 was not what we expected after how the weekend had gone. 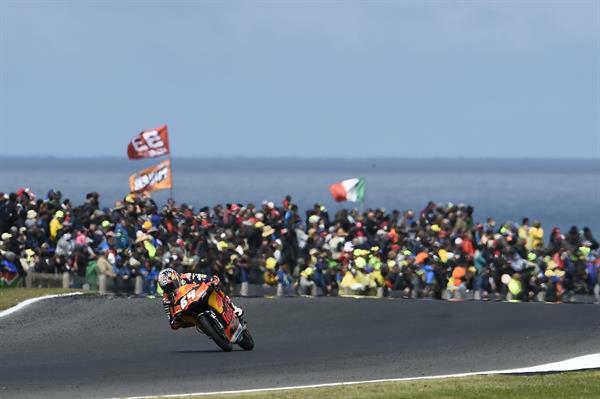 We had a good base from the Free Practice sessions and the potential to get a good result. 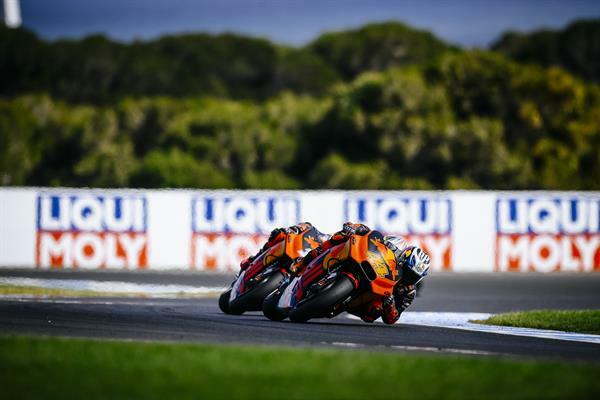 It’s true that QP was not perfect, but when it came to the race we knew we had the opportunity to have a good performance. Finally, we had some bad luck in the race. We have look forward and think about the two remaining GPs, and getting the results we deserve."